Colleton County Fire-Rescue remembers the 19 Granite Mountain Interagency Hotshot Crew (IHC) who were killed in the line of duty at the Yarnell Hill Fire in Arizona, one year ago today. Click here to see the Yarnell Hill Fire Briefing Video. We congratulate Firefighter-EMT Joseph Holmes and his wife Michelle on the birth of their son Benjamin Joseph Holmes who was born Monday morning 30-June at 08:06. 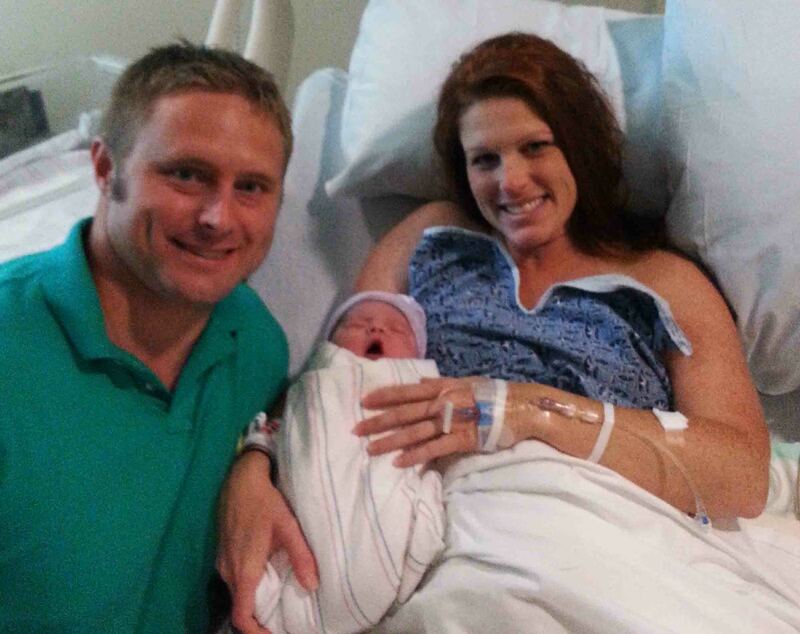 Benjamin weighed 9 pounds, 3 ounces and is 21-1/2 inches. They are all doing fine. Click here for more information. A high speed single car MVC trapped two children Monday morning 30-June. 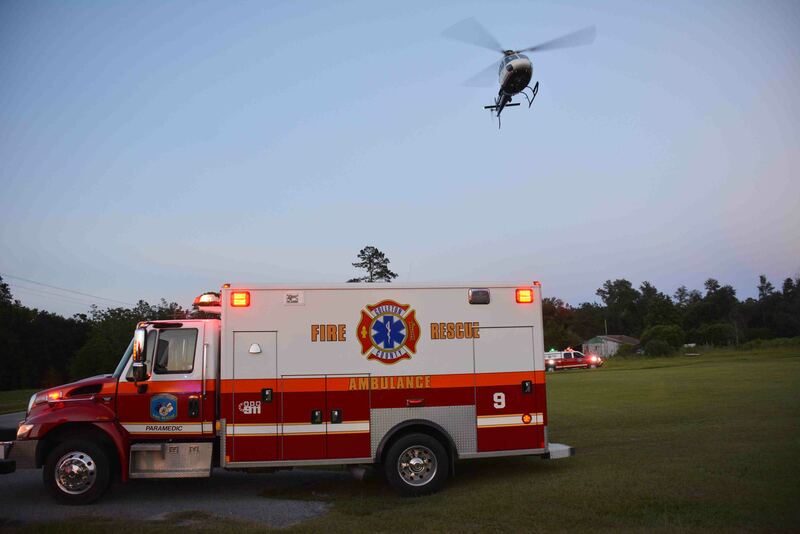 At 03:30, Fire-Rescue was sent to the 55 mile marker southbound on Interstate 95 for the second accident at the same location within eight hours. A southbound Chevrolet Cavalier lost control and entered the median backwards. Click here for more information. 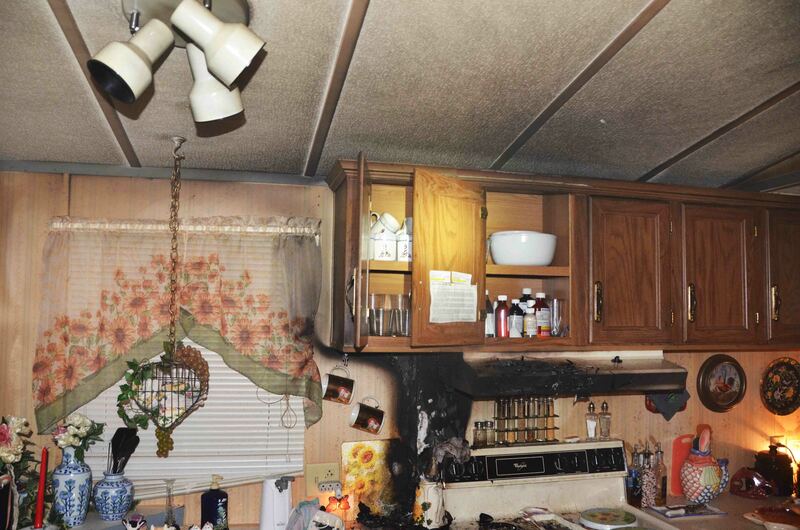 A fire on the hot water heater caused moderate damage to a mobile home at 310 Branch Hollow Lane, Sunday afternoon 29-June at 18:54. 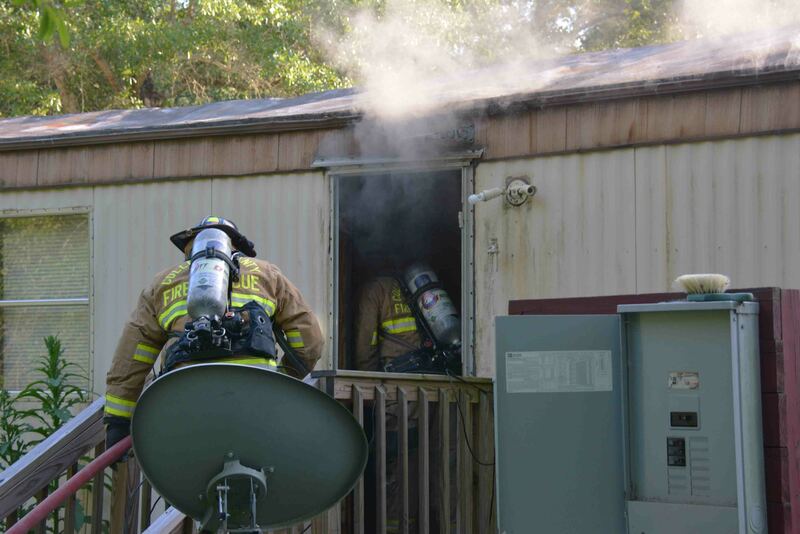 The homeowner returned to residence to discover the home filled with smoke. She attempted to retrieve two cats from the home, but suffered smoke inhalation. Click here for more information. 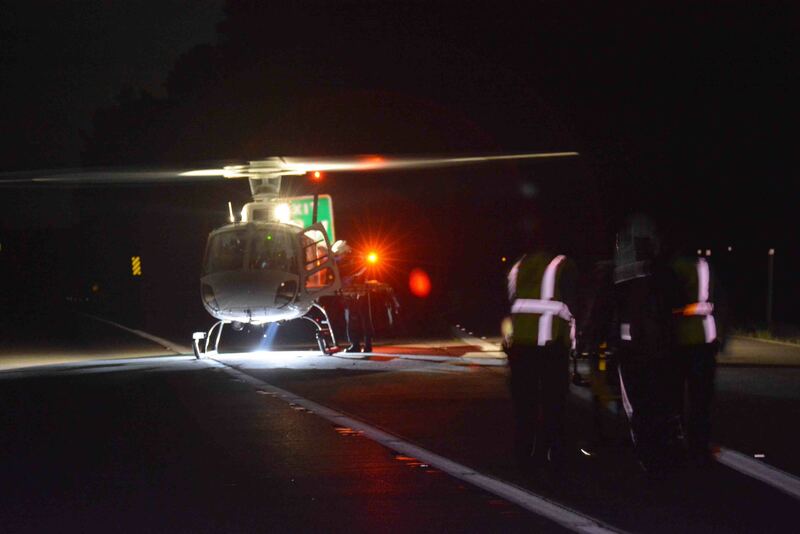 A 34 year old man suffered a severe neck injury after falling into shallow water and striking his head. 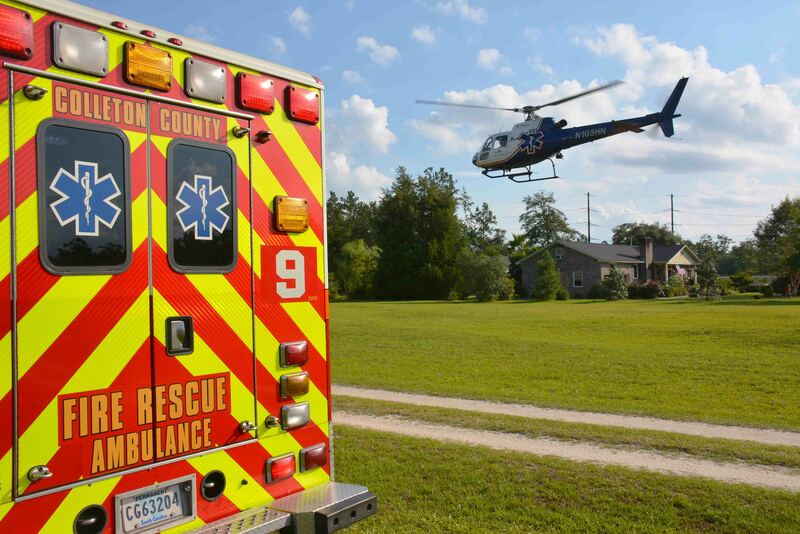 The incident occurred on the Edisto River behind a home in the 300 block of Happiness Lane Sunday afternoon 29-June at 17:19. Bystanders supported the man in the water until Fire-Rescue personnel arrived. Click here for more information. A morning fire in a residence caused heavy damage to the structure Sunday morning 29-June at 07:46. Car 118 arrived to find heavy smoke conditions from the singlewide mobile home located at 65 Stormy Lane just off of Bells Hwy. 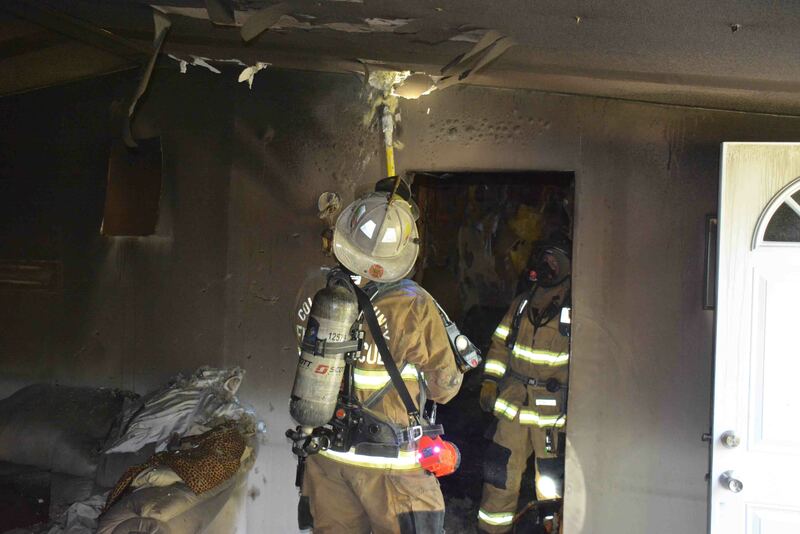 Firefighter-Paramedics deployed one 1-3/4 handline to the front door. Click here for more information. 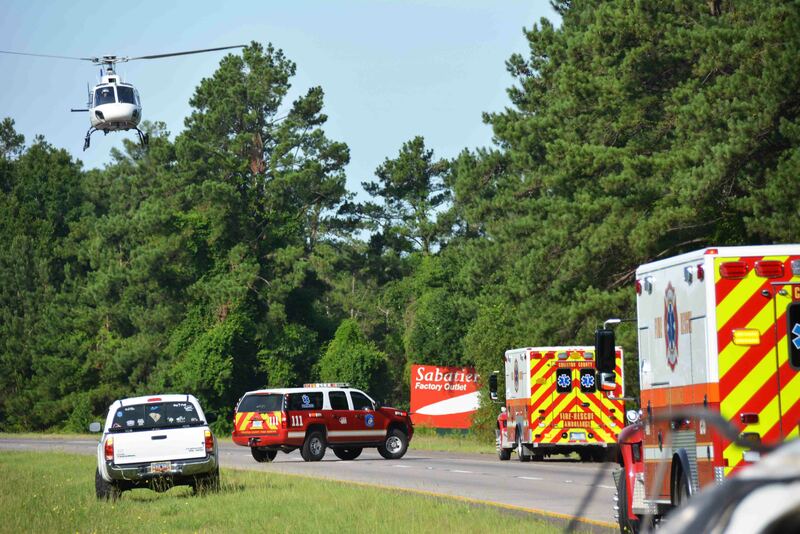 At 08:06 Friday 27-June, a southbound GMC Yukon Denali lost control and over-turned multiple times landing upright in the median on I-95 near the 48 mile marker. The SUV received heavily damage resulting in critical injuries to an adult female and ejecting a small child. Six people in the SUV were injured. Click here for more information. A Jeep Liberty SUV pulled into the path of a loaded Amtrak train at a private crossing off of Balchem Lane north of the Green Pond Community Friday morning 27-June. 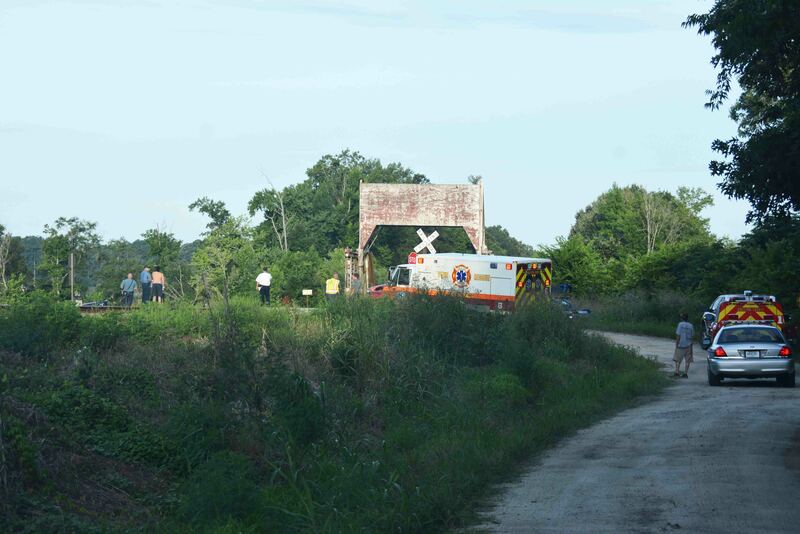 At 06:33, Fire-Rescue was notified of the accident on the rural dirt road. Medic 6 arrived to find the heavily damaged Jeep in the ditch on the south side of the crossing. Click here for more information. 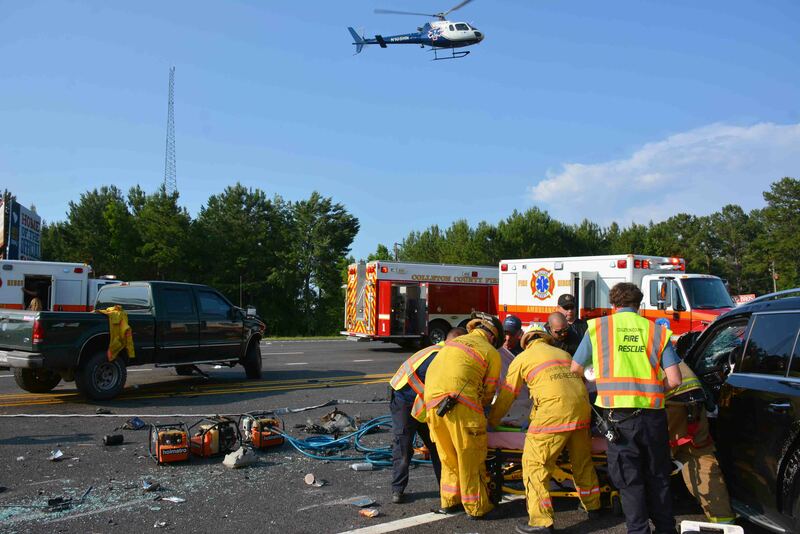 One person died and two others were critically injured in a two car MVC on Interstate 95 near the 41 mile marker southbound. The accident was reported at 09:34 after a Ford F-250 pickup truck collided with a Dodge Minivan. 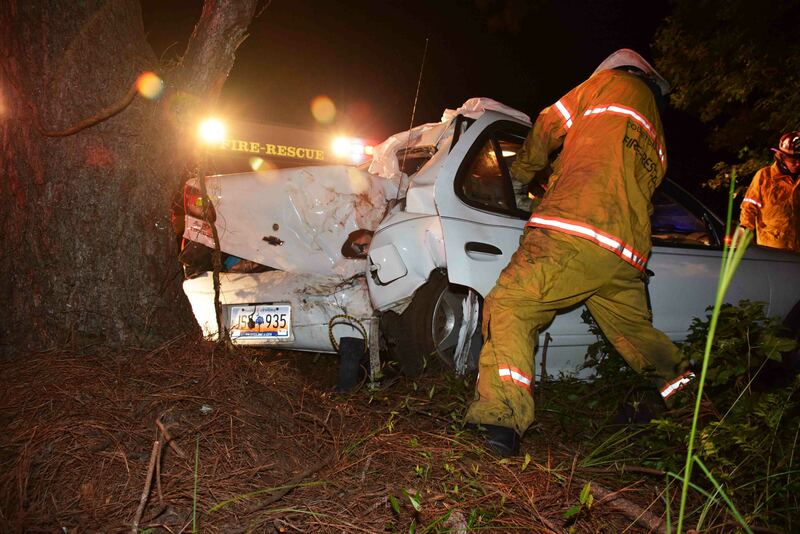 Both vehicles left the roadway at a high rate of speed and struck large pine trees in the median. Click here for more information. 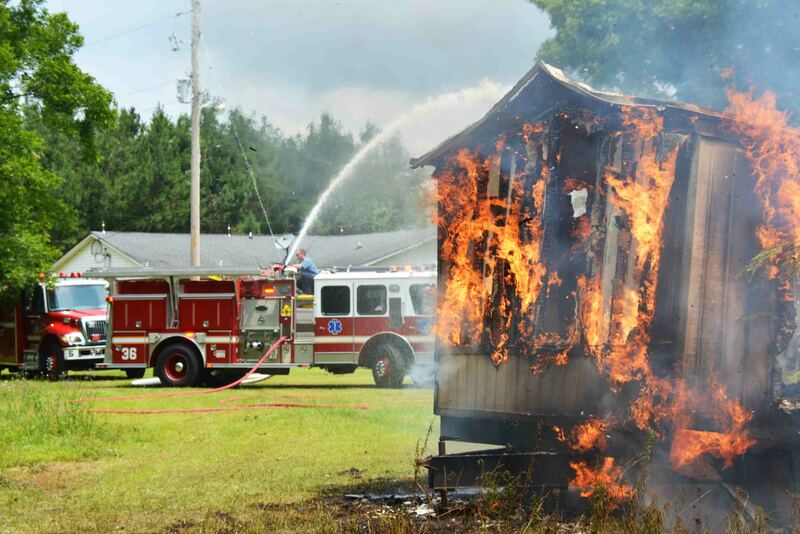 Firefighters responded to 1540 Oakman Branch Road after a passerby reported a mobile home on fire Monday morning 23-June at 11:32. Engine 36 arrived to find the singlewide mobile 90% involved with a small grass fire extending into the woods. Firefighters initially used a deck gun to knockdown the flames, then one 1-3/4 handline and a booster line to extinguish the remaining fire. Click here for more information. An adult male suffered severe traumatic injuries and a head injury after he fell down a flight of stairs from a second story level at 112 South Miller Street. Sheriff’s Deputies discovered the man unconscious at the bottom of the stairs and notified Fire-Rescue. Responding crews found the patient in the same position. He was treated and immobilized at the scene. 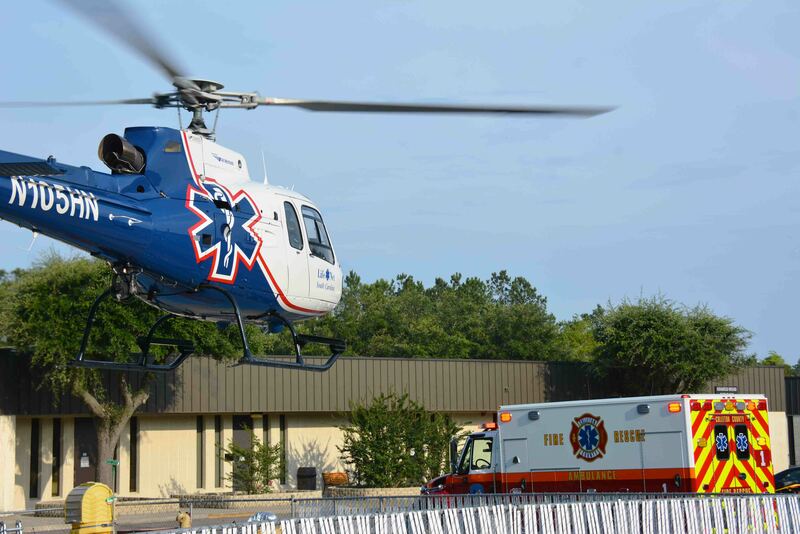 A medical helicopter was placed on stand-by. Click here for more information. 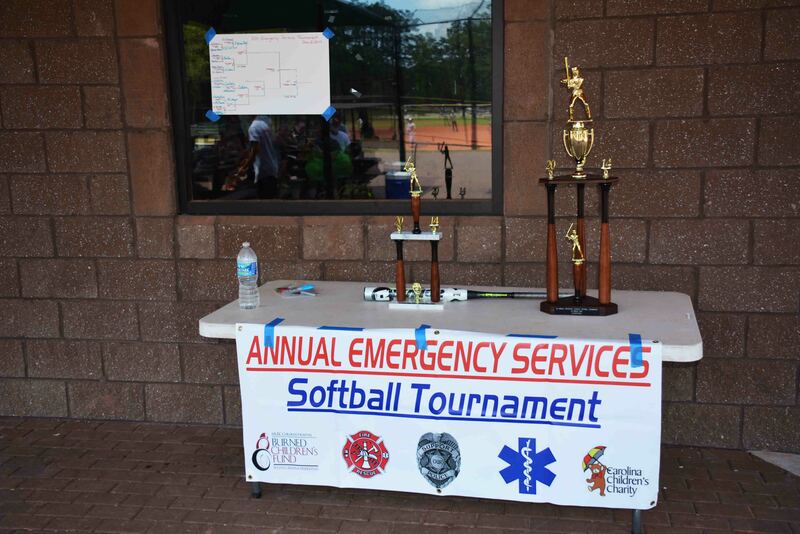 The Third Annual Emergency Services Softball Tournament was held Saturday, 21-June-2014 at the Colleton County Recreation Center. The tournament, which was originally scheduled for March, saw seven teams play through the high temperatures with a heat index reaching 108 degrees. Click here for more information. A high speed single car MVC claimed the life a 17 year old Saturday morning 21-June at 02:37. Fire-Rescue was notified of an over-turned vehicle in the 7900 block of Charleston Highway with one person trapped under the car. When units arrived they found a heavily damaged Buick in the wood line, but there were no patients. Click here for more information. Three people were injured in a head-on collision in the 8300 block of ACE Basin Parkway (US Highway 17) Friday afternoon 20-June. The accident occurred just north of Wood Road in front of the Ashepoo Grocery Store. At 17:24 a southbound Ford F-250 pickup truck collided head-on with a northbound Mercedes passenger car. Click here for more information. 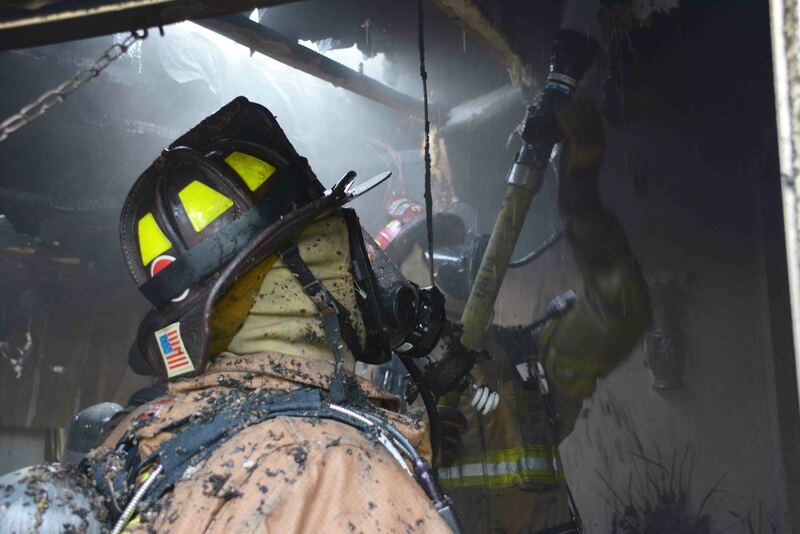 Firefighters made a quick knockdown on a structure fire at 1232 Bowers Road saving the home Friday morning 20-June. At 08:40, a neighbor notified 9-1-1 that she could see smoke coming from the roof of the residence next door. Engine 6 arrived within minutes, reporting heavy smoke conditions from the doublewide mobile home. Click here for more information. 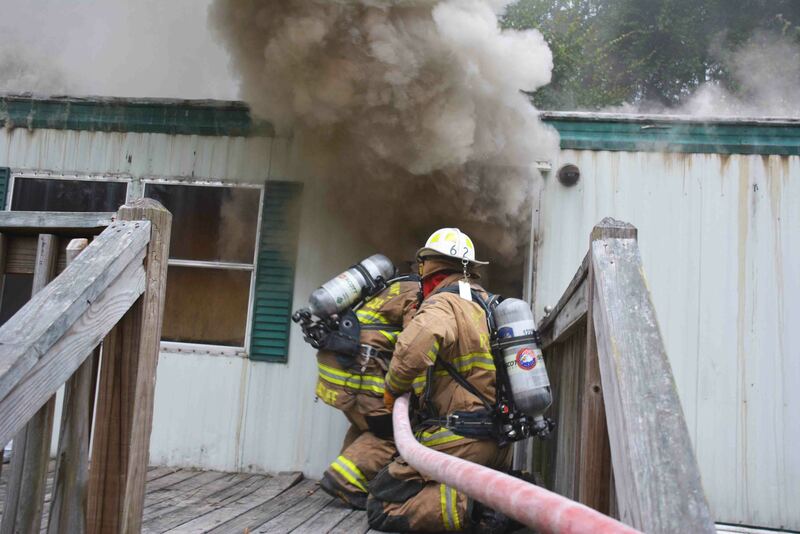 A Walterboro Public Safety Officer extinguished a fire in the kitchen of a singlewide mobile home Thursday morning 19-June. Fire-Rescue units were sent to 82 Chestnut Road for a report a structure fire. 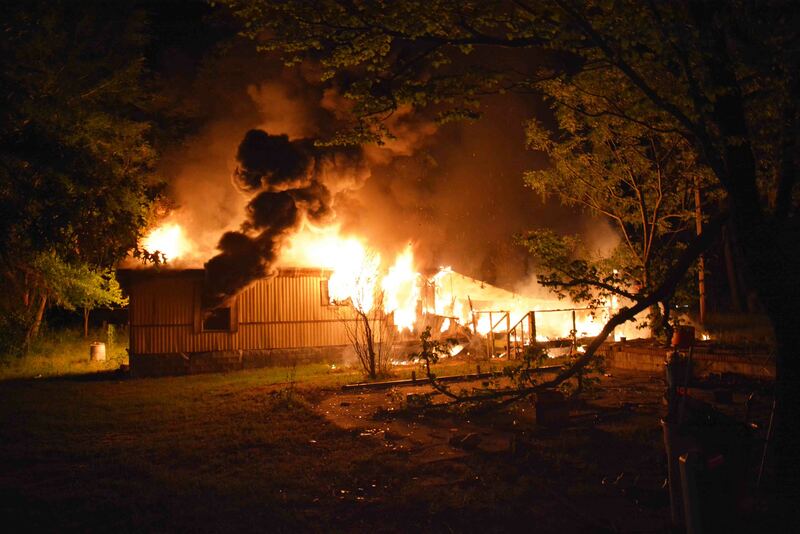 The officer arrived before fire units and entered the smoke filled home. He discovered a fire extending up the kitchen wall and was able to extinguish most of the flames stopping the immediate spread of the fire. Click here for more information. A single car accident resulted in multiple traumatic injuries to a 31 year old female Tuesday evening 17-June. At 19:57, Fire-Rescue was notified of an over-turned vehicle that was on fire in the 18700 block of Augusta Hwy near Heaven’s Path Lane. Engine 9 and Medic 9 arrived to find an over-turned minivan in the cemetery at this location. Click here for more information. 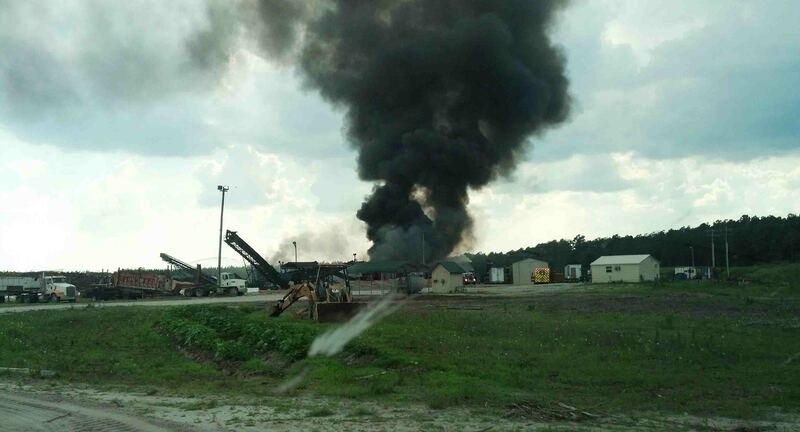 A large piece of equipment burned Saturday at the Kapstone Wood Chip facility located at 24022 Augusta Highway, Saturday afternoon 14-June. At 16:46, 9-1-1 began receiving reports of large columns of black smoke and explosions at the business. The complex is located well off of the highway and is not easily visible from the road. Click here for more information. A 27 year old female complained of injuries after she swerved to avoid a fallen tree in the 100 block of Sweat Street near Commerce Drive Friday evening 06-June at 23:23. 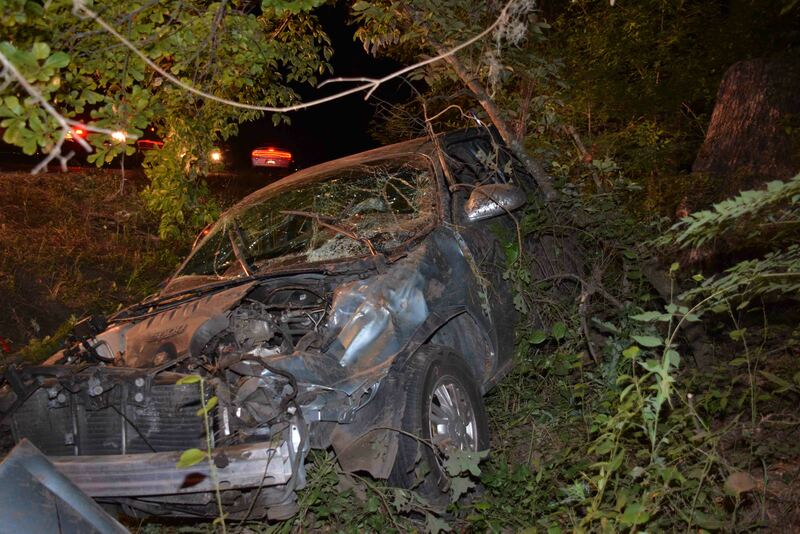 Her small SUV then struck another tree on the shoulder of the road receiving moderate damage. Firefighter-Paramedics stabilized the woman in the car but due to her complaints of pain, they used Holmatro Rescue Tools to remove the driver’s side doors and “B” post to safely extricate her. Click here for more information. A severe thunderstorm resulted in multiple incidents in the Buckhead Community northwest of Smoaks Thursday evening 05-June. The storm which brought high winds, heavy rain and lightning littered roads with debris and fallen trees. Firefighters, SCDOT and power company crews spent hours clearing roadways and restoring power. Click here for more information. 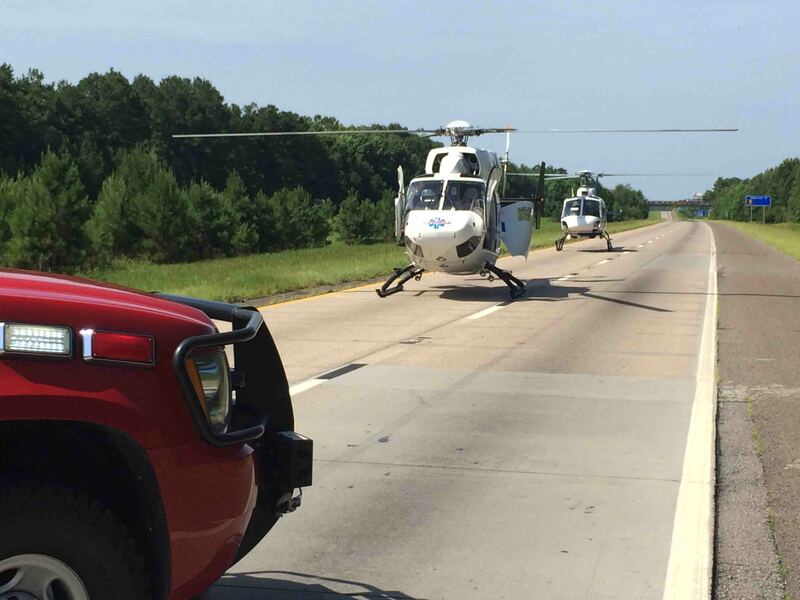 Engine 13 and Medic 13 responded to a high speed rollover accident on I-95 at the 41 mile marker northbound, Wednesday morning 4-June at 04:04. The units found a tractor trailer tanker truck on its side in the woods with heavy damage to the jack knifed cab. 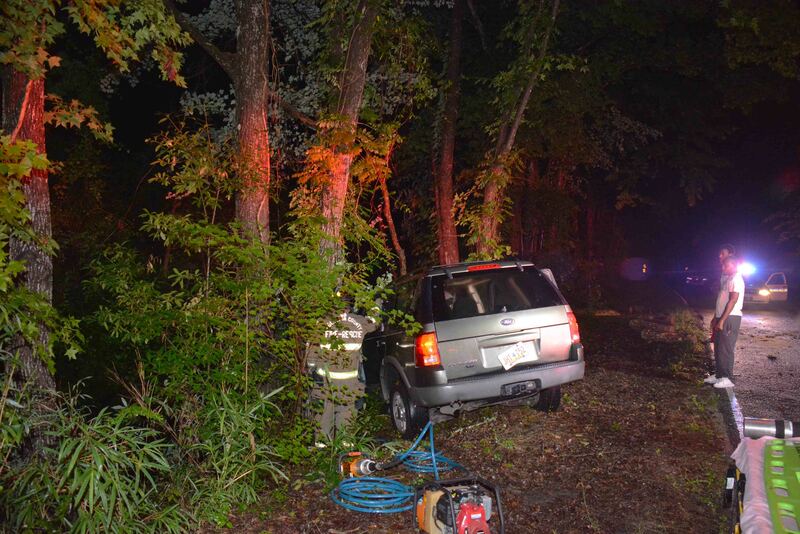 The vehicle left the roadway at a high rate of speed, struck over a dozen trees before coming to rest down an embankment. Click here for more information.